There’s a divergence between being an 'entertainer' versus being an 'authentic artist' in hip hop, and when Vince Staples released his debut album Summertime ‘06 two years ago, he was firmly identified by critics as the latter: the straight-edge former crip wordsmith spitting truths, demystifying and de-glamorising gang culture. This subversive apathy and indifference is what makes the Californian one of the most fascinating hip hop artists going – be it his bizarrely meta ad campaign with Sprite, his glorious Reddit AMA, or his trolling white people with purposefully ambiguous use of terms like afrofuturism. He’s stated on Twitter and in interviews that there is some personal meaning behind the big fish of the new album’s title, but is typically mysterious when asked what it means: “It’s whatever it means to them”, he told Trevor Noah on The Daily Show. Staples seems to thrive on being enigmatic – but there's also no doubt that Staples knows how to entertain, albeit in his own deadpan way. And this is what is immediately apparent when Big Fish Theory opens: Vince Staples - everyone’s favourite teetotal, conscious gangsta rapper - knows exactly how to make a banger. ‘Crabs In A Bucket’ bursts to life with a UK garage-style beat that has all the anticipatory thrill of ‘Little Bit Of Luck’. High-quality artistry - both lyrically and production-wise - and entertainment value don’t have to be mutually exclusive, and there is no hip hop LP this year that has had this much immediacy, that has nailed it in so many ways. There’s plenty here that construes a floorfiller, and working with GTA, Flume, Sophie, and Warp Records’ Jimmy Edgar means that every element of the production is pristine, interesting and exciting; all thumping, captivating beats. Kendrick-featuring ‘Yeah Right’ is sweaty, metallic and abrasive, while ‘7.45’ has the kind of squelchy, dangerous, Barry White-style bassline that hits you in the abdomen. It’s a mercurial record, switching between apparent party songs to moments of introspection: from heavyweight single ‘Big Fish’, it goes to ‘Alyssa Interlude’, a harrowing cut from an Amy Winehouse interview over spacious beats. She talks about songwriting, heartbreak and self-destruction, before Staples sings in fitting melancholy, “Loved that song when we were kids/ now it makes me want you here/ sometimes people disappear”, while LA producer Zack Sekoff splices in the Temptations’ devastating ‘I Wish It Would Rain’. It’s a beautiful pause. Winehouse’s presence seems fitting, as Staples contemplates fame throughout the album – his life before it, dreaming of fancy cars and women like Kate Moss, and now the reality of it, whether he should be where he is now, and just how much his fame has highlighted the disparities in wealth in America. Suffice it to say, there’s a lot of anger here - “Our father art in heaven, as I pray for new McLarens/ Pray the police don't come blow me down 'cause of my complexion”, he says on ‘BagBak’, railing on materialism, empty religion and the horrific, defeated reality that is the acceptance of police brutality in the States. People might be getting more 'woke', but Staples is far from satisfied: “Prison system broken, racial war commotion/ Until the president get ashy, Vincent won't be votin'/ We need Tamikas and Shaniquas in that Oval Office/ Obama ain't enough for me, we only getting started”. This is a time for change – and indeed, the rain and water imagery throughout the album feels telling: it’s pathetic fallacy, it’s catharsis, it’s cleansing; it’s time for reflection, but also protest and movement. There is so much to unpack here, particularly for an album that clocks in at 36 minutes. Staples has a lot to say - perhaps unsurprising given the urgency of America’s race problem and his relatively recent rise to fame - but what’s especially impressive is how he can convey his messages so succinctly, imbuing short phrases with such overarching meaning in his delivery and his symbolism. And it’s especially impressive that he can do this in a way that proves music can be “important” as well as being really banging. Vince Staples doesn’t care for being labelled a rapper, perhaps, but in just "being himself” he has created one of the finest exponents of the genre this year. 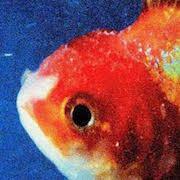 Hip hop is punk, it’s poetry, but also it’s party music – Big Fish Theory is an outstanding album that potently shows all of these exquisite possibilities. What’s more is, Staples makes it seem like the easiest thing in the world.